When you pass away without a Will, your estate can be a root cause of dispute among your family members. These disputes might break your family. 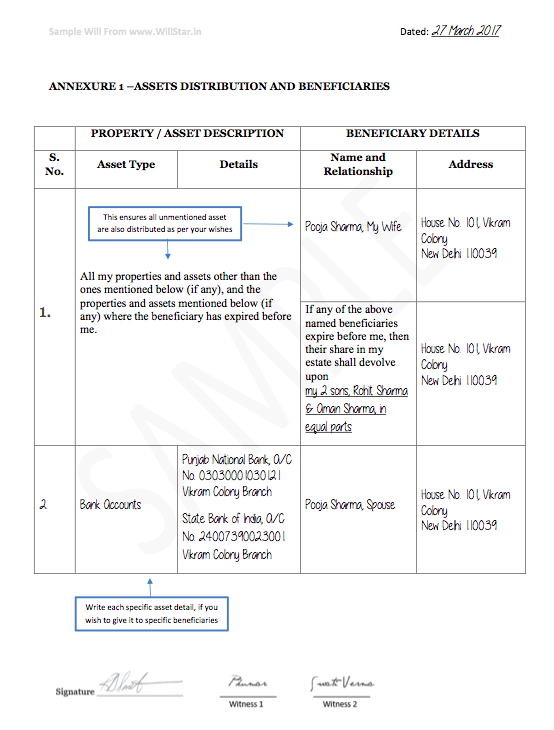 A categorical division of assets will ensure peaceful distribution of assets. If you pass away before your children are adults, not having a proper guardian might jeopardise their future. You can appoint a guardian only through a Will otherwise the court appoints guardians which are as per the law. Protect your loved ones by writing your Will so that your relatives or strangers cannot claim false stake in your assets and money. 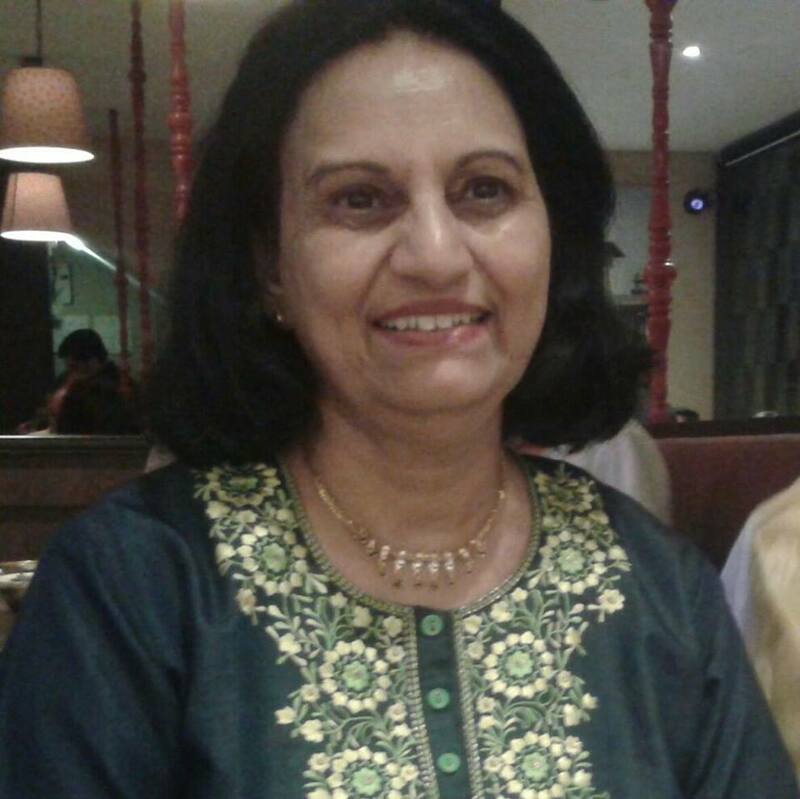 It can take upto 5 years for your family members to get your assets in the absence of a Will. If you pass away without a Will, your assets are passed to your successors as per the laws of inheritance and not by your choice. 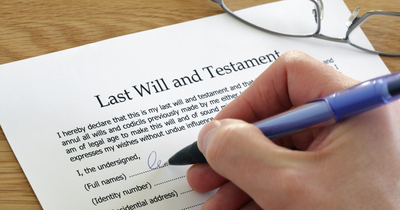 By making a Will, you choose who gets a share in your estate after your demise. 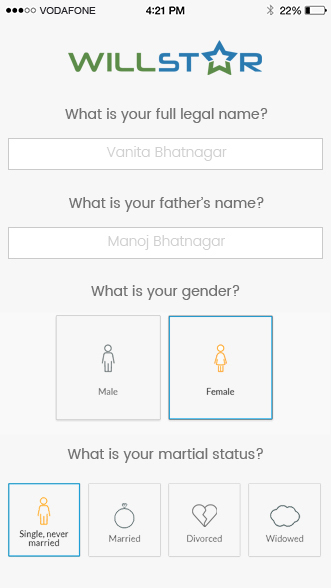 Fill up your personal and family details to identify you in your Will. 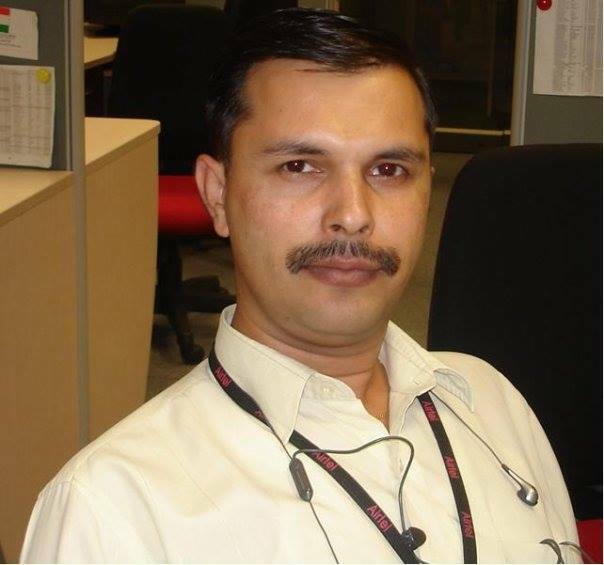 Specify beneficiaries for specific items, and for your remaining assets. Specify executor for your Will, and guardian for minor children, if any. 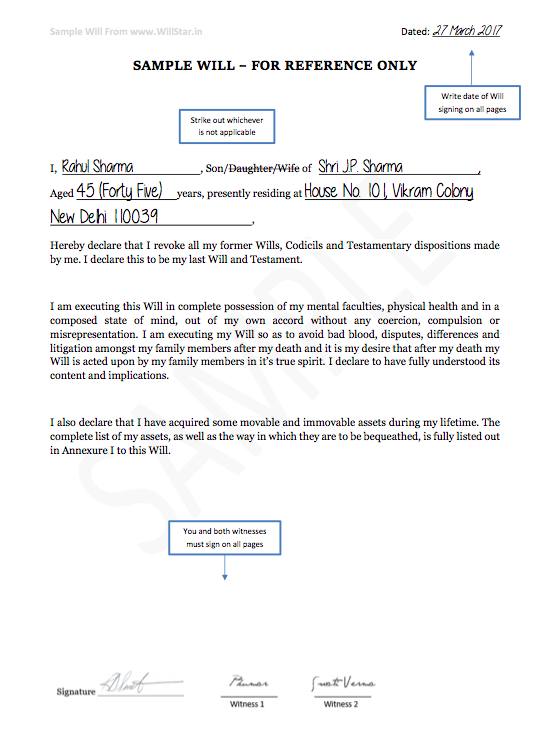 Review and download your Will. Print, sign, attest and you're done. Now create your legal Will draft online at the ease and comfort of your home. 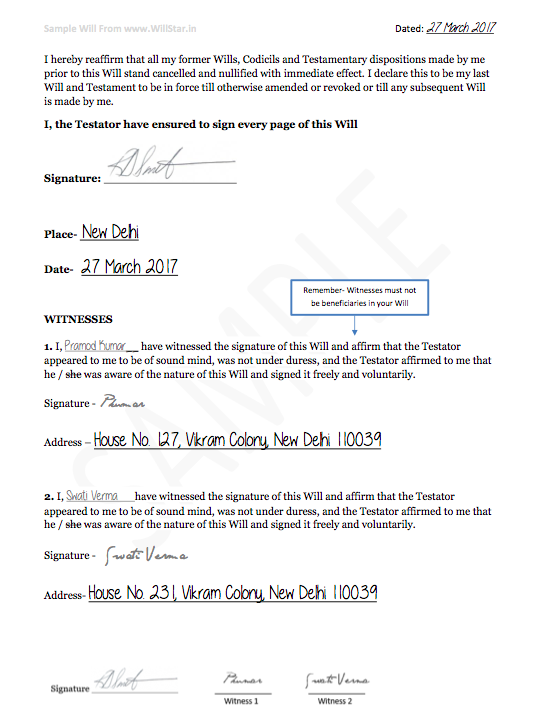 WillStar helps you write your legal Will using simple and intuitive interface that makes it fun to male your Will. Available currently in English, Hindi and Tamil. 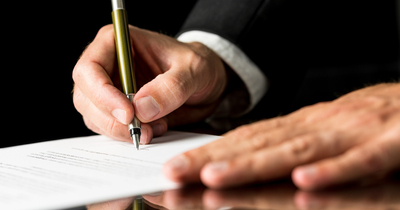 You can also seek help to get your Will reviewed and registered through an expert lawyer. Wow! I just finished making my will effortlessly. It was super quick. Outstanding tool. 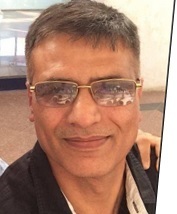 I would certainly recommend to family & friends. User friendly, professional and fits my needs. Highly recommended. It was a smooth and simple process to make a Will with WillStar. Very useful. How to make and register a Will? 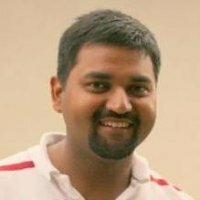 Can a registered Will be challenged? 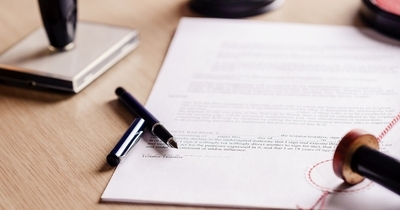 A well-drafted Will can help prevent legal battles later. 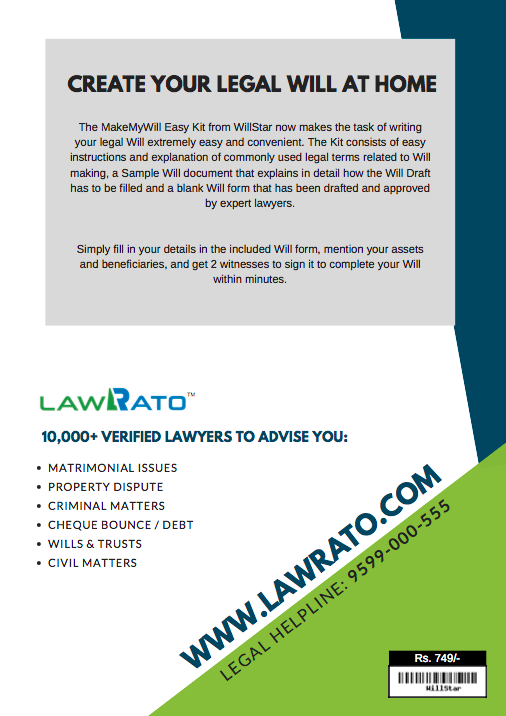 The Easy Kit from WillStar now makes the task of writing your legal Will extremely easy and convenient. 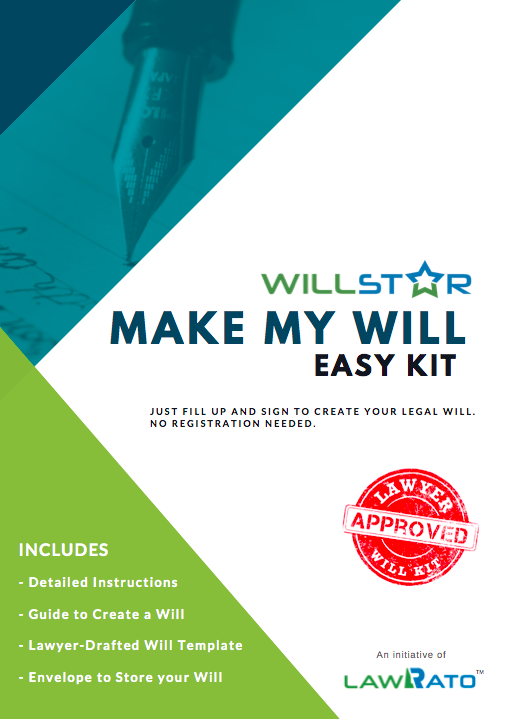 The Kit consists of easy instructions and explanation of commonly used legal terms related to Will making, a Sample Will document that explains in detail how the Will Draft has to be filled and a blank Will form that has been drafted and approved by expert lawyers.